- Date: 12/2015, Seed: $150 k (post valuation: $2500000). Stephen G. Barr, founder was a winning team member at Startup Weekend Phoenix at the Thunderbird School of Global Managemnet. The team of four launched and pitched "Bust'DD" a sort of "Zappos for Bras"
Startup Hive™ is a startup incubator and accelerator located in Long Beach, CA consisting of a group of private investors and mentors assembled and managed by Stephen G. Barr and Boardroom Advisory Services . Startup Hive™ is a startup incubator and accelerator located in Long Beach, CA consisting of a group of private investors and mentors assembled and managed by Stephen G. Barr and Boardroom Advisory Services . 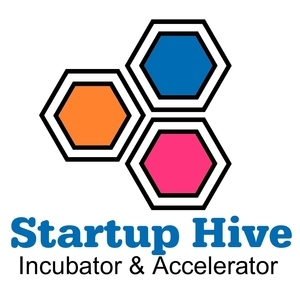 Please see the "Apply" page to submit your startup for consideration to the Hive! Stephen G. Barr confirmed Startup Hive as an investment.